While working as an apprentice embalmer, Pete Lara allegedly took gold crowns from bodies and other items including a cremation urn box and medallions used to decorate urn boxes worth more than $1,000. LANCASTER – A former employee of Halley-Olsen-Murphy Funeral Home in Lancaster has been charged with more than two dozen felony counts for allegedly stealing gold crowns from bodies and then pawning the stolen goods at pawn shops and jewelry exchanges. Pete Jacob Lara faces a maximum sentence of 19 years in state prison, if convicted as charged, authorities announced Wednesday. The following is the press release from the Los Angeles District Attorney’s Office. A former apprentice embalmer accused of taking gold crowns from human remains at a Lancaster funeral home is scheduled to be arraigned this afternoon on more than two dozen felony counts, the Los Angeles County District Attorney’s Office announced. 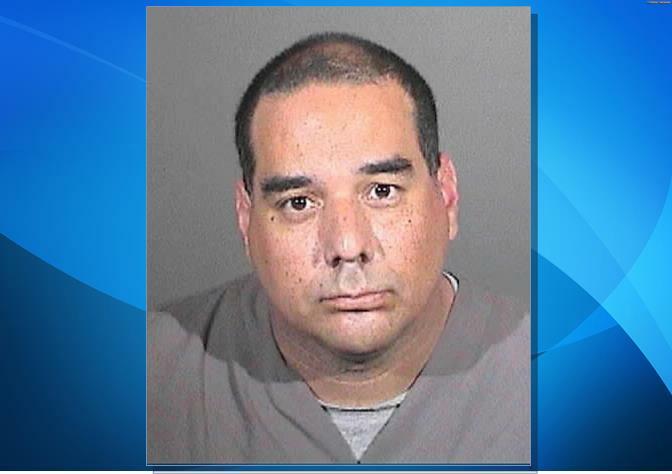 Deputy District Attorney John Evans said Pete Jacob Lara, 39 (dob 12-27-73), is expected to be arraigned in Department A1 of the Los Angeles County Superior Court, Antelope Valley Branch. Lara is charged in case MA061206. Lara is charged with one count each of possession of a controlled substance, methamphetamine; removal or possession of dental gold from human remains; and grand theft by embezzlement. He also faces 23 counts of second-degree commercial burglary. Lara is a former employee of Halley-Olsen-Murphy Funeral Home in Lancaster. While working as an apprentice embalmer, the defendant allegedly took gold crowns from bodies and other items including a cremation urn box and medallions used to decorate urn boxes worth more than $1,000.Prosecutors said Lara went on to pawn the stolen goods at pawn shops and jewelry exchanges. The alleged crimes took place between June 25, 2012 and October 28, 2013.Lara’s bail is recommended at $510,000. The case remains under investigation by the Los Angeles County Sheriff’s Department.If convicted as charged, Lara faces a maximum sentence of 19 years in state prison. UPDATED @ 4:30 p.m. 10/30/13: Lara pleaded not guilty to the charges and his bail was ultimately set at $300,000, according to Shiara Davila-Morales of the Los Angeles District Attorney’s Office. A preliminary hearing on the case was scheduled for Nov. 12 at the Antelope Valley Courthouse. The Lancaster Burglary Suppression Team, while reviewing pawn slips, noticed that the suspect had pawned gold fillings at several local pawn dealers over the course of several months. An investigation was initiated which determined the suspect worked at a local funeral home. It was also learned the suspect had worked for another funeral home in Arizona. An arrest warrant was sought and was granted. On October 28, 2013, deputies went to 44802 Date Ave. and arrested Pete Lara. Incident to his arrest, a search revealed he had several gold fillings in his pocket along with some suspected methamphetamine. A search warrant was immediately written for his residence and was served at approximately 3:30 PM. More fillings were discovered at his residence. During interviews of the suspect, he indicated he stole the teeth from Allen Funeral Home in Mesa, Arizona where he was previously employed. There is no indication at this time that thefts of teeth occurred at Haley-Olsen Mortuary in Lancaster. However, the investigation is ongoing and is expected to take a significant amount of time. The Los Angeles County District Attorney’s office filed nearly 30 charges against Lara today. 22 comments for "Ex-employee charged with theft of human remains"
I work in funeral homes all my life so for people that don’t know about this please open your ears . This gose on more than you think . It’s just dead people’s teeth so what’s the big deal? SMH. Disgusting is an understatement! Do not view on a full stomach. Jeezus.where did all those teeth come from? Think he made that himself? Beyond depraved,hopefully the D.A. can access his facebook page and confiscate that thing. He did not make it himself. I know him personally. I am sure I would want to tell the world I knew this man. This is sick and greedy. Don’t think I’d want to make that known if I were you. I too am a friend of Petes and to know him as a person and then to hear this…. it comes as a shock. It does…yet it doesn’t. This whole thing is 99.9% a result of his chemical addictions, and anyone that knows him knows that. Yes, Pete has always been dour, but really all the FB stuff is just badly timed nonsense that he always did and wasn’t wise enough to keep non-public. I’m not excusing what he did- it’s despicable- but the FB content really is just about his penchant for things gory and for horror flicks and makeup. He’s always been into that and in a way it made his job easier for him I’m sure. Too easy, I suppose one would say, but he did take pride in his job aside from this nonsense. Unfortunately, he loved his addictions more. Special place in Hekl for him..
Wow! This is just bad all around. This facility has been around for along time, sadly one bad employee has tarnished their reputation. Although we in the AV don’t have many other options for these types of services. Shame on this greedy man! Why would this tarnish the facility?? The facility did not do this, nor did they condone his actions I’m sure. I have heard nothing but good things about Halley-Olsen-Murphy in Lancaster/Palmdale since the 80’s when we moved here. This was all done in Arizona not here…seems he was just dumb enough to try and pawn them in the AV. Drugs make you do dumb and unspeakable things, and this is proof…Hope they throw the book at him…and hit him with a long time in jail…. I’m beyond disgusted! I had a family member “cared” for there…I am absolutely sick! 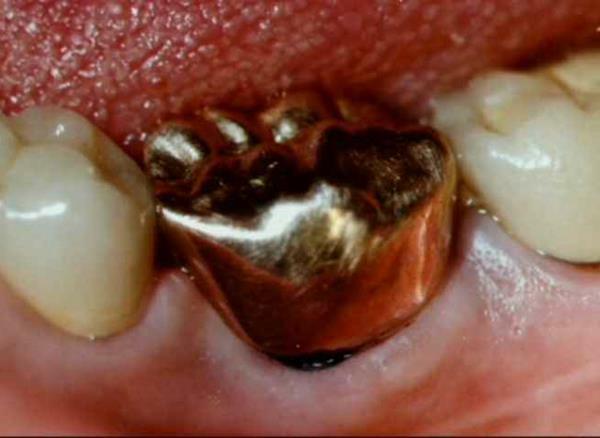 You would know if your family member had gold teeth, wouldn’t you? ?